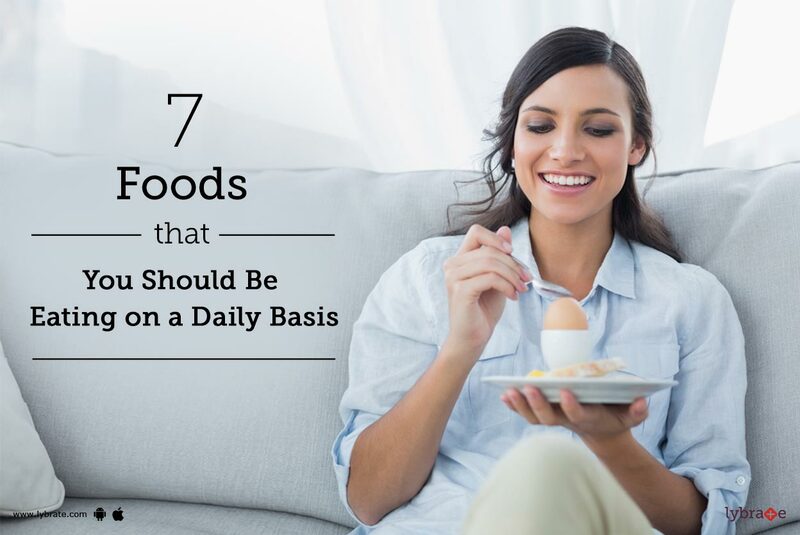 There are certain foods that you should be eating on a regular basis to improve your overall health. These foods contain the necessary micro and macro nutrients to nourish your body and allow it to function optimally. Brown rice: Opt for the whole grain variety instead of white rice, as brown rice contains complex carbohydrates instead of simple carbohydrates. Brown rice provides energy to the body without spiking the blood sugar levels. It is also a good source of trace minerals like manganese, phosphorus and selenium. Eggs: A boiled egg is, without a shade of doubt, one of the best superfoods that you can come across. An egg packs a powerful nutritious punch that contains protein, vitamin D, selenium, zinc and copper. Apart from being nutritious, it is an inexpensive source of protein. Apples: You must have heard the age old proverb that 'An apple a day keeps the doctor away'and it stands good even today with good reason. Apples are good sources of antioxidants, flavonoids and fiber that help in reducing the risk of blood pressures problems and diabetes. Apples are also known to reduce levels of bad cholesterol in the body. You can also take the package for Eating Right. Spinach: Spinach is a superfood that contains good amounts of vitamin C, and various antioxidants that help in maintaining optimal functioning of the body. It is also known for its anti-cancer and anti-inflammatory properties. Yogurt: Yogurt is a good source of protein and calcium that you may use as a part of fat loss diet. Yogurt also contains healthy probiotic bacteria that promote healthy digestion. Fish: Fish contains protein in good amounts, the variety of amino acids content in fish helps in improving metabolism in the body. It also helps in building muscle and losing fat. Fish contains Omega-3 acids which help promote a healthy nervous system. Garlic: Consumption of garlic on a regular basis is known to keep the body free from toxins due to its antibiotic properties. The high sulfur content of garlic boosts immunity levels in the body and protects it from common cold and cough. If you wish to discuss about any specific problem, you can consult a specilized dietitian-nutritionist andask a free question.